We live in a world where government-produced currency is often unstable and prone to the whims of the market and politicians, and where mistrust of banking systems controlled by governments, like the Federal Reserve, is high. The markets were rocked by Brexit and the U.S. presidential election, and the future is still very uncertain. But there's a new investment on the rise that some think could be the new safe-haven in times of trouble... Electronic currency, specifically, bitcoin. Bitcoin is a cryptocurrency that was created in 2009. It is not regulated by any kind of government, and it provides anonymity to its users, allowing them to make purchases in secret. It received even more interest in the summer of 2016, when its mysterious founder, who went under the alias of Satoshi Nakamoto, allegedly revealed himself as Craig Wright, an Australian entrepreneur. While many believe Wright doesn't provide enough proof that he is, in fact, the creator of Bitcoin, it has raised more interest than ever in the cryptocurrency. 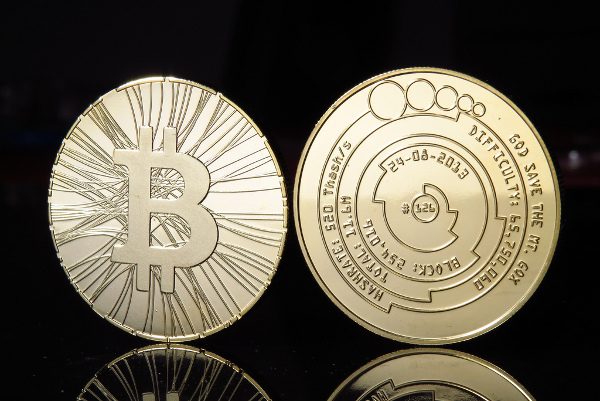 Now, some think Bitcoin could end up becoming as valuable an investment as gold, in worrying economic times. The currency is currently priced at $1,239 per bitcoin, which means it has nearly tripled in value since its summer 2016 price of $450. Bitcoin is a viable investment option in comparison to precious metals. Prices should continue to rise due to Chinese buying and the decrease in supply. Large companies used to ignore Bitcoin and other cryptocurrencies, but some of the big ones are now allowing the use of Bitcoin in their transactions. PayPal is a service that allows you to pay and take payments from individual sources just by creating an account. It takes away the problems and fees often associated with working with banks, and now it’s partnering with Coinbase, a virtual currency and wallet exchange, so that Coinbase users can sell bitcoins and cash them to their PayPal accounts. While you still can’t buy bitcoins using PayPal, this is a step in the right direction for PayPal, and it will line the company up with other tech giants like IBM, Microsoft, and Airbnb, which are all exploring the value of integrating Bitcoin into their systems. PayPal has filed patents to further explore adding Bitcoin and other electronic currencies into its physical smartphone payments, and we could soon see Bitcoin integrated into all parts of our life — no longer a novelty, but a necessity. You want to get into this investment opportunity before Bitcoin is more pricey than gold. There are currently a few ways for you to do that. It's similar to investing in gold. While it's valuable to invest in gold stocks, it's also valuable to have some gold bullion on hand. And Bitcoin is no different. There are a few ways you can invest in Bitcoin. You can use online resources like Paymium, which is an online bank that allows you to buy and sell Bitcoin. This is good for investors who want to buy small amounts of Bitcoin, under 50. You can also buy and sell using the online resource the Rock Currency Exchange. This is a great resource because you can invest in cryptocurrency other than Bitcoin, like Ether and Litecoin. There is some risk, as some Bitcoin exchanges have been hacked. The Bitcoin Investment Trust is an open-ended trust that is invested in Bitcoin and gets its value specifically from the price of Bitcoin, but you don't have to buy, sell, or store bitcoins yourself. The trust trades on over-the-counter markets, and investors invest in it like any U.S. security, buying and selling shares through most traditional brokers. The problem is that GBTC trades above net asset value (NAV) and doesn’t track the price of Bitcoin all that well. But there will soon be a better way to buy Bitcoin. Tyler and Cameron Winklevoss are waiting to successfully get SEC approval for the Winklevoss Bitcoin Trust (Pending: COIN). This will be to Bitcoin what GLD is to gold. It will allow everyone to easily and quickly buy Bitcoin, giving retail investors the convenience and liquidity they currently lack. This new retail buying could drive Bitcoin high as it gets wider adoption by both investors and merchants. Either way you look at it, currency that is anonymous and not controlled by banks and governments is our future. Make sure you're not left behind.